Hey y’all, hope you have had a wonderful weekend and are eagerly gearing up for another exciting and hectic work week like I am. Just wanted to spread the news about a current Steal Deal going on at Rite Aid this week (starting today). Check it out and run to your nearest Rite Aid before all the good stuff is gone! Arm&Hamour Detergent (liquid and packs) are on sale for $1.99 with your Rite Aid card (aka your Plenti Rewards card). Use the $1 off 1 coupons available now (you can either download them from http://www.coupons.com or you can get your local Sunday newspaper and clip them that way). That is a final price of only .99 cents each and is an awesome time to stock up! Also on sale this week at Rite Aid, all Wet n Wild Cosmetics are Buy One Get One 75% Off! I was finally able to score the photo focus foundation everyone has been talking about along with a blush and two bronzers and no coupon is necessary for this steal deal. 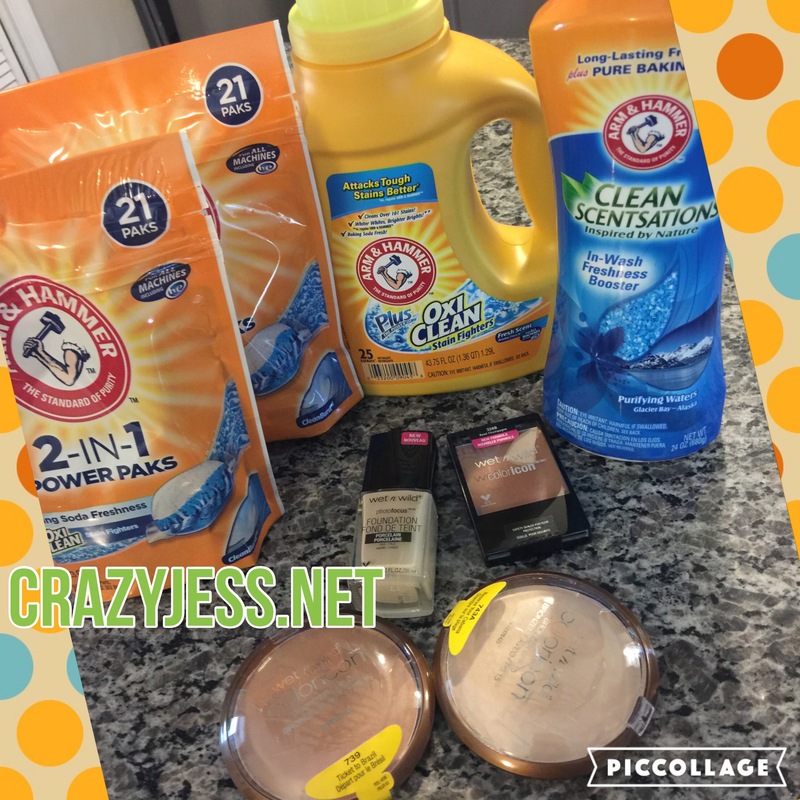 Hurry and clip those coupons online and grab the Detergent deal before they are all gone and if you needed a reason to buy more drugstore makeup, now is the perfect time!